Two Armenian sisters write to each other in the year leading up to the deportations. A young Ukrainian mother embroiders her life story as famine threatens. A boy travels to Hong Kong by train while the Japanese march towards his hometown of Nanjing. A Jewish girl from Paris collects words and falls in love as she hides in a mountain village in 1942. A Cambodian refugee recalls his childhood in his home country and his new life in Canada on a makeshift stage. A Rwandan family prepares to emigrate to Canada days before President Habyarimana’s plane is shot down. 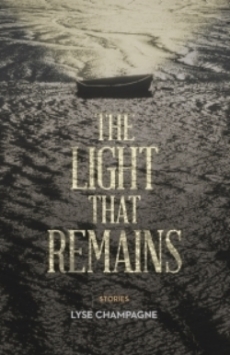 The Light That Remains, published by Enfield & Wizenty, was released on April 1, 2016.